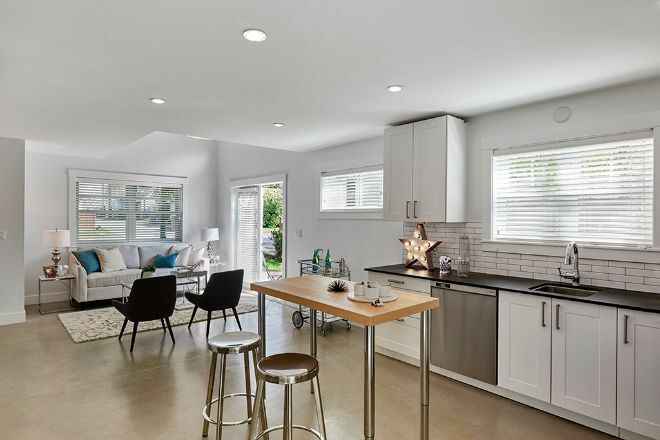 Ever heard of a laneway house? It's is a popular form of housing in Canada, and is similar to a guest house. These homes are built onto pre-existing lots, usually in the backyard and opening onto the back lane. 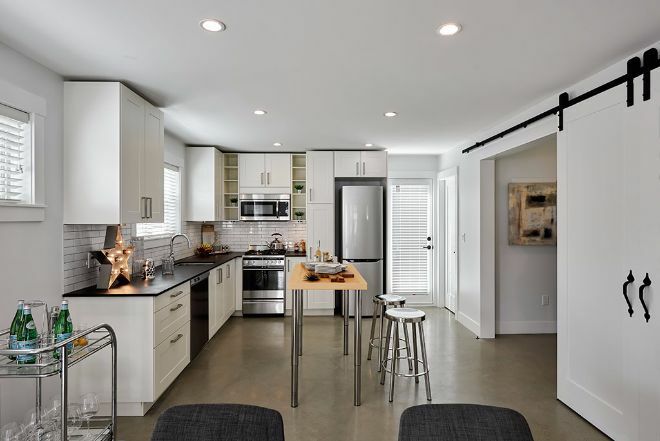 You'll love this beautiful laneway house built by Smallworks. It's only 950 square feet, but it's packed with unique style. The home includes two bedrooms, two bathrooms, an office, and a large open kitchen and living space. That's a lot of features for such a tiny house! 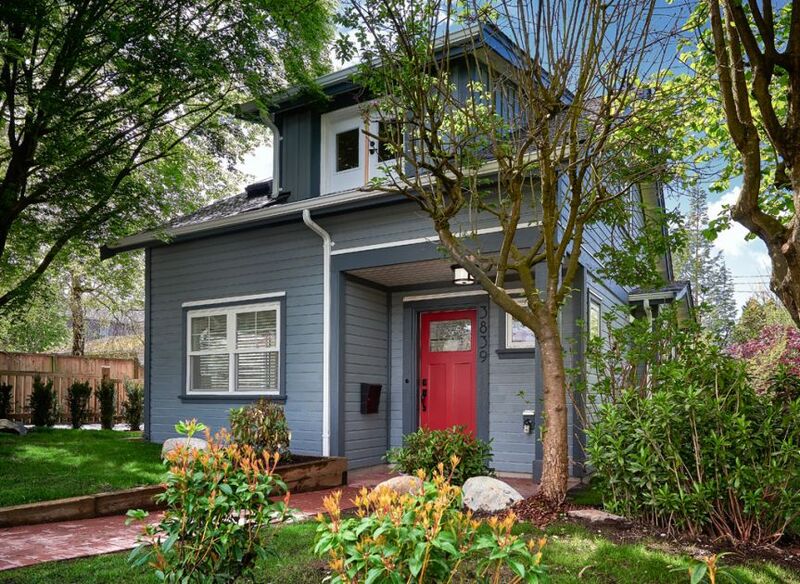 As Smallworks puts it, "The thought was to make whomever rented this lane house feel like the king of their own little castle." The decor is modern, yet warm and comfortable. Take a look inside! The main space of the home includes the living room and kitchen. Plenty of windows and white walls keep the home feeling spacious and bright. 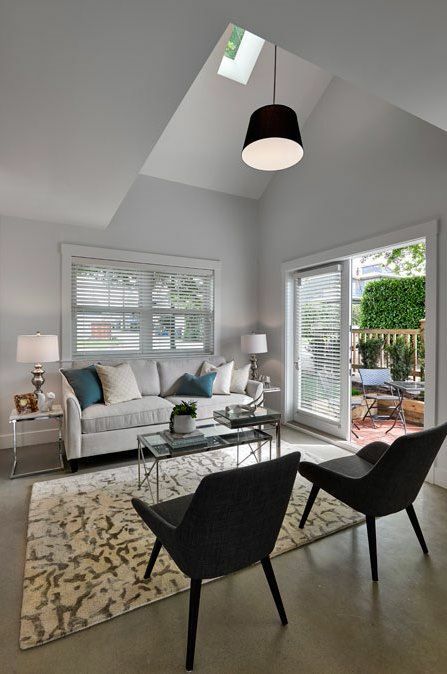 The living room connects to the back deck for an additional entertaining area. The ceiling opens up to the second floor, giving it a great airy feeling. The kitchen features white cabinets, classic subway tile, and black counter tops. The island provides seating and can be moved around if needed. 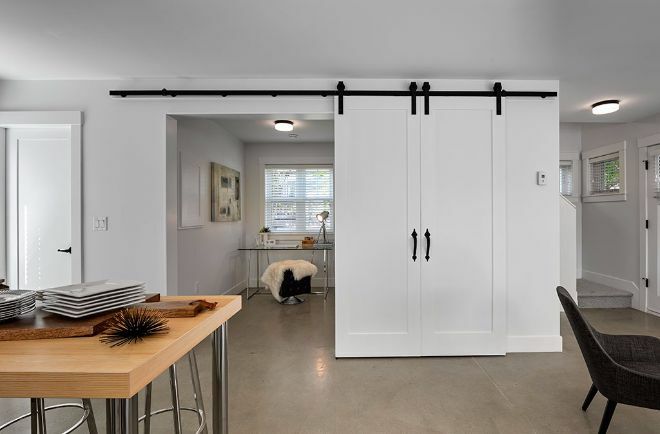 The custom barn doors are the real star of the home. They employ the clever use of magnets to allow for easy one arm operation. Behind the doors, a laundry closet is hidden. This room upstairs can function as a bedroom or additional family space. 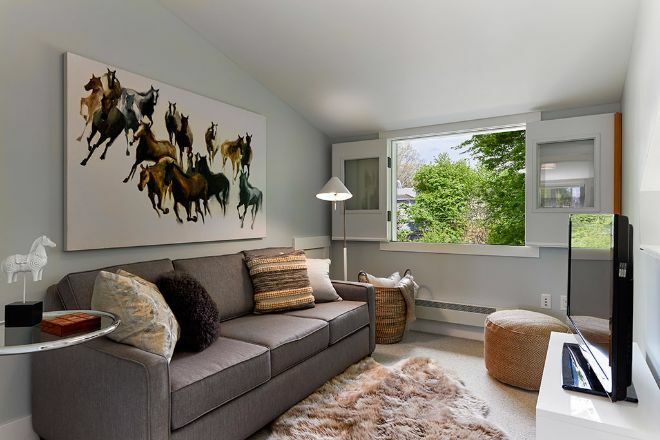 The horse art proves that just because a space is small doesn't mean the artwork has to be dinky. A big piece like this makes a great impact. This bathroom is small but functional. 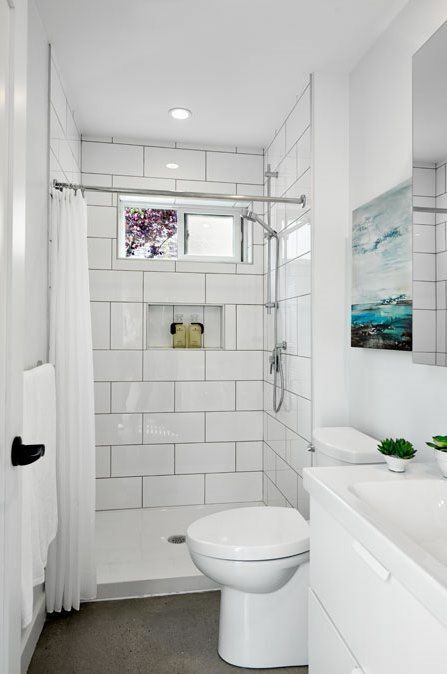 The large white tile in the shower is a playful take on the traditional small subway tile.